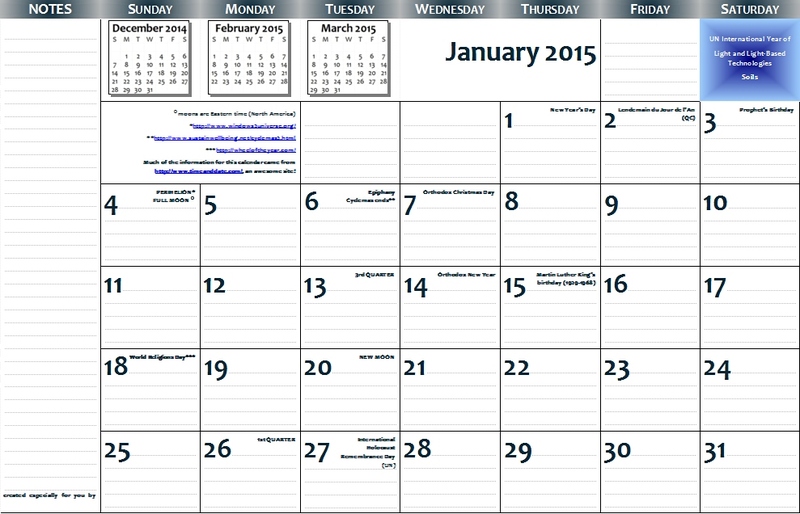 Yer not gonna believe this, but here it is, practically early: my 2015 11 x 17″ page-per-month calendar! Ta-dah! For details on what it is and how to use it, see my post of December 30, 2011. Hope y’all had a great year, and all the best for this coming one. these are awesome calanders!!! Thank you so much!